Ken Coates first travelled on the Alaska Highway at age seven as the son of an engineer based in Whitehorse. He later had summer jobs on the highway counting cars and tearing out mileposts, replacing them with kilometre signs. To mark the 50th anniversary of the 1,200-mile highway from Dawson Creek, B.C. to Fairbanks, Alaska in 1992, he helped organize anniversary events and published North To Alaska (1991) and The Alaska Highway in World War II: The U.S. Army of Occupation in Canada's Northwest (1992), preceded by The Alaska Highway: Papers of the 40th Anniversary Symposium (1985). The extent to which the roadway affected Aboriginal life in northern British Columbia is a factor in all these works. They are companion volumes to The Land of the Midnight Sun (1988) and The Sinking of the Princess Sofia (1990), both co-written with William Morrison of Lakehead University. The Princess Sofia was a Canadian Pacific steamer that left Skagway, Alaska in October of 1918 and ran aground on the Vanderbilt Reef on her last run of the season, resulting in the deaths of all 353 people aboard in the icey waters of Lynn Canal. The loss of a significant segment of the population of the Yukon and Alaska was the greatest disaster in the history of the Pacific Northwest but it was overshadowed by news of World War One. The Land of the Midnight Sun is an important history of the Yukon, including the presence of the Hudson's Bay Company. "To suggest that the Hudson's Bay Company was anything but a good corporate citizen borders on heresy (unless you are Native, in which case it is gospel," Coates wrote in 1983. Among his more than 30 books, Ken Coates's interest in the history of relations between Aboriginals and non-Aboriginals has resulted in many titles such as his Yukon history Best Left As Indians: Native-White Relations and the Yukon Territory (1991) which stresses the Aboriginal population was not passive in the face of expansion by Europeans, as well as Indigenous Peoples in Remote Regions: Comparative Perspectives (1995) and The Marshall Decision and Native Rights (2000). With Judith Powell he co-authored The Modern North: People, Politics and the Rejection of Colonialism (1989) which examines the north in the aftermath of the Berger pipeline inquiry of 1975. With Robin Fisher he co-edited Out of the Background: Readings in Native History (1988) and with his wife Carin Holroyd he wrote A Traveller's Guide to Northern British Columbia (1995). He is also the editor of Aboriginal Land Claims in Canada: A Regional Perspective (1992). His history called Canada's Colonies examines the development of the Yukon and Northwest Colonies whereas The Forgotten North looks collectively at the northern regions of Canada's provinces. With William Morrison he investigated a series of Yukon, pre-World War II murders in Strange Things Done (2004). It used to be that a college degree was the surefire way of securing a successful career. Times and opportunities have changed, and What to Consider if You're Considering College (Dundurn, 2015) examines the variety of post-high-school options available to students and young adults. Publicity materials advise that this book is geared towards "Americans in their teens and twenties." Born in Banff, Alberta on October 30, 1956, Coates received his B.A. from the University of British Columbia, an M.A. from the University of Manitoba and a Ph.D. from the University of British Columbia. He has taught at Brandon University, Manitoba; the University of Victoria and the University of Waikato, New Zealand. He was a Professor of History and Dean of Arts at the University of New Brunswick at Saint John, from 1997, until he accepted the post of Dean of Arts and Sciences at the University of Saskatchewan on January 1, 2000. 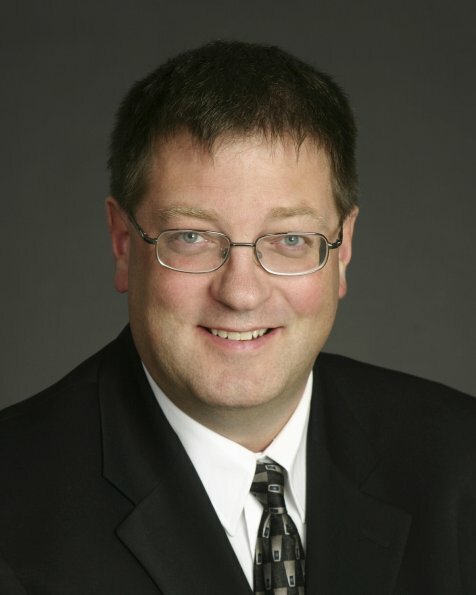 Prior to his stint in New Brunswick, Ken Coates was the founding Vice-President Academic at the University of Northern British Columbia. Coates has also served as founding editor of Northern Review, a multi-disciplinary journal about the north, and he has research interests in Japanese studies, world and comparative history, information technology, Arctic studies and institutional change in universities. One of Canada's most prolific historians, Ken Coates briefly served as provost and dean of academics at Sea to Sky University in Squamish in 2004. He lives in Saskatoon, Saskatchewan. With David Breen, Vancouver's Fair: A Political and Administrative History of the Pacific National Exhibition (Vancouver: UBC Press 1982). With David Breen, The Pacific National Exhibition: An Illustrated History (UBC Press 1982). Canada's Colonies: A History of the Yukon and Northwest Territories (Toronto: James Lorimer and Company 1985). Ed., The Alaska Highway: Papers of the 40th Anniversary Symposium (Vancouver: UBC Press 1985). With Robin Fisher, eds., Out of the Background: Readings in Native History (Toronto: Copp Clark-Pitman 1988). With Gurston Dacks, eds., Northern Communities: The Prospects for Empowerment (Edmonton: Boreal Institute 1988). With W.R. Morrison, Land of the Midnight Sun: A History of the Yukon Territory (Edmonton: Hurtig Publishing 1988; McGill-Queen's, University of Washingon Press 2005). With W.R. Morrison, eds., For Purposes of Dominion: Essays in Honour of Morris Zaslow (Toronto: Captus Press 1989). With W.R. Morrison, eds., Interpreting Canada's North: Selected Readings (Toronto: Copp Clark Pitman 1989). With W.R. Morrison, The Sinking of the Princess Sophia: Taking the North Down With Her (Toronto: Oxford University Press 1990). Revised U.S. edition (Fairbanks: University of Alaska Press 1991). With W.R. Morrison, eds., My Dear Maggie: Letters from a Western Manitoba Pioneer William Wallace (Regina: Canadian Plains Research Centre 1991). Best Left as Indians: Native-White Relations and the Yukon Territory (Kingston: McGill-Queen's University Press 1991). With W.R. Morrison, The Alaska Highway in World War II: The U.S. Army of Occupation in Canada's Northwest (Norman, OK: University of Oklahoma Press). Also published in Canada (Toronto: University of Toronto Press 1992). Ed., Aboriginal Land Claims in Canada: A Regional Perspective (Toronto: Copp Clark Pitman Ltd. 1992). With W.R. Morrison, Working the North: Labor and the Northwest Defence Projects, 1942-1946 (Fairbanks: University of Alaska Press 1994). Ed. with John Taylor, Indigenous Peoples in Remote Regions: Comparative Perspectives (Thunder Bay: Centre for Northern Studies 1995). Ed. with W.R. Morrison, The Historiography of the Provincial North (Thunder Bay: Centre for Northern Studies 1996). With Robin Fisher, ed., Out of the Background: Readings on Canadian Native History, Second Edition (Toronto: Copp Clark 1996). With Carin Holroyd, Pacific Partners: The Japanese Presence in Canadian Business, Society, and Culture (Toronto: James Lorimer and Company 1996). And P.G. McHugh, Living Relationships Kôkiri Ngâtahi: The Treaty of Waitangi in the New Millennium (Wellington: Victoria University Press 1998). With Colin Coates, eds., The Klondike Gold Rush in International Perspective (Whitehorse: Northern Review 1999). With Jim Tiessen, Canadian Business, E-Commerce and Marketing to Japan (Ottawa: Canada-Japan Trade Council 2000). The Marshall Decision and Native Rights (McGill-Queen's University Press 2000). With Kerry Abel, eds., Northern Visions: New Perspectives on the North in Canadian History (Broadview Press 2001). With John Findlay, eds., Parallel Destinies: Canadian-American Relations West of the Rockies (Seattle: University of Washington Press 2002). With Carin Holroyd, Japan and the Internet Revolution (Plagrave-Macmillan 2003). With W.R. Morrison, eds., Apostle of the North: Memoirs of William Carpenter Bompas. Edmonton: University of Alberta Press 2003. Introduction. With W.R. Morrison, Strange Things Done: Murder in Yukon History (McGill-Queen's University Press, 2004). Struggle and Survival: A Global History of Indigenous Peoples (Palgrave-Macmillan 2005). With Carin Holroyd, eds., Japan in the Age of Globalization (Routledge 2011). With Greg Poelzer, From Treaty Peoples to Treaty Nation: A Road Map for All Canadians (UBC Press, 2012). What to Consider If You're Considering College: New Rules for Education and Employment (Dundurn Press, 2015) $19.99 9781459723726 Co-written by William (Bill) Morrison. With David Breen, PNE: An Illustrated History (Vancouver: UBC Press 1982). With Fred McGuinness, Pride of the Land: A History of the Provincial Exhibition of Manitoba and the Royal Manitoba Winter Fair (Winnipeg, Peguis Publishers 1985). With Fred McGuinness, Manitoba: The Province and the People (Edmonton: Hurtig Publishers 1987). With Fred McGuinness, Only in Canada: Kinsmen and Kinettes (Winnipeg: Peguis Publishers 1987). With Fred McGuinness, The Keystone Province: An Illustrated History of Manitoba Enterprise (Windsor Publications 1988). With Judith Powell, The Modern North: People, Politics and the Rejection of Colonialism (Toronto: James Lorimer 1989). North to Alaska: Fifty Years in the World's Most Remarkable Highway (Toronto: McClelland and Stewart 1991). With Carin Holroyd, A Traveler's Guide to Northern British Columbia (Prince George: Caitlin Press 1995). With Carin Holroyd, Success Secrets for Business in Japan (Singapore: Times Editions 1999). Success Secrets to Maximize Business in Canada, Times Books International, 2001. Strange Things Done: Murder in Yukon History (McGill-Queens 2004). With William Morrison. Aboriginal Economic Development Award, SSHRCC/Indian Affairs, 1992-1994. Ken S. Coates and Bill Morrison have been sparking lively debate about post-secondary education since the publication of the first edition of this readable, honest book in 2011. Taking universities to task for spreading myths like the million-dollar promise for graduates and revealing the best-kept secrets, Coates and Morrison are arming students to make informed decisions about their future schooling and career path. The Globe and Mail has labelled it "a bracing reality check that should be essential reading for would-be university students, their parents and anyone who thinks higher education holds all the answers." BA worth the paper it's printed on?) and reflects on growing debates about Quebec students, graduate unemployment, and appropriate student choices for post-secondary education. Graduate School of Public Policy at the University of Saskatchewan. Formerly, he was Dean, Faculty of Arts at the University of Waterloo. He lives in Saskatoon.